Step up to home plate to practice Addition facts from 0+0 to 12+12. Contains 48 cards in total. 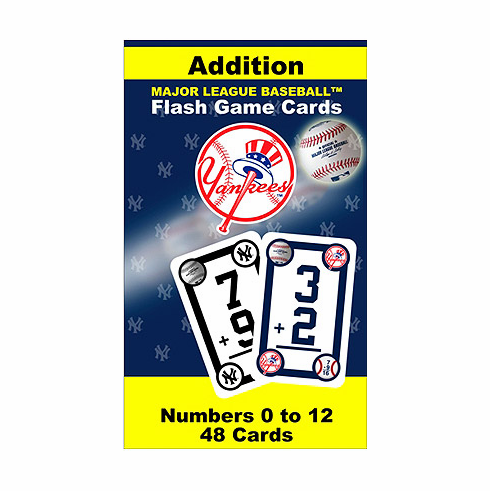 46 Math Flash Cards , 1 game card featuring three fun baseball-themed math games, 1 coach card including Rounding the Bases with a review of important addition rules. Cards measure 3 1/8" x 5 1/4".